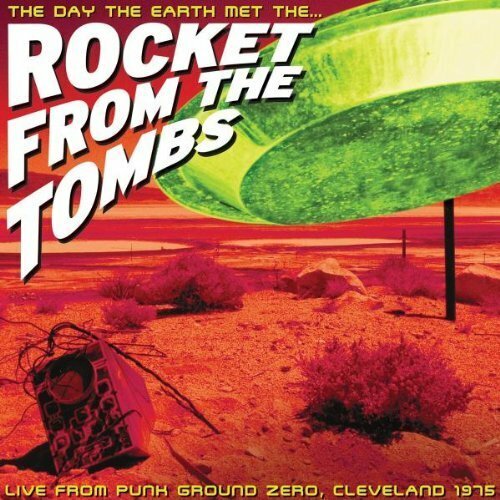 One of rock music’s most interesting cult obscurities, Rocket From the Tombs has become the standard-bearer for an oft-overlooked Cleveland rock ‘n’ roll scene as well as a textbook illustration of “what might have been.” Formed in 1973 by “Crocus Behemoth,” the alter ego of singer David Thomas, the band derived its name from a short film made by Thomas and his friends titled The Day The Earth Met Rocket From The Tombs. 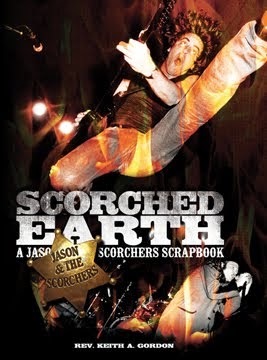 It wasn’t until guitarist/vocalist/songwriter Peter Laughner was added to the ever-fluid Rocket line-up, however, that the band began to focus on making serious music. The best-known Rocket roster, circa 1975, included Thomas and Laughner along with guitarist Gene O’Connor, bassist Craig Bell, and drummer Johnny Madansky. Over the course of the eight months they would play together, these five Cleveland musicians would create a legacy that is still being debated today...only at the time they didn’t know that what they were doing would last beyond tomorrow. RFTT would develop a unique musical style that was heavily influenced by the underground sounds favored by Laughner and Thomas, artists like the Velvet Underground, Iggy & the Stooges, and the MC5 mixed with a healthy dose of 1960s-styled garage-rock and British Invasion bands like the Who and the Kinks. 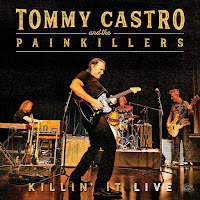 The resulting songs were chaotic, unpredictable affairs that would often veer off recklessly into sheer sonic overkill, Thomas' yelping vocals and manic onstage performance style driving the audience berserk. 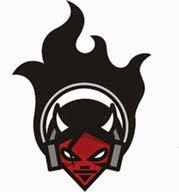 With the help of friends at local radio station WMMS-FM and friendly local club owners, Rocket From the Tombs would become one of a handful of popular original bands in a Cleveland rock scene dominated by Top 40 cover bands. When Laughner, then writing album reviews for Detroit’s Creem magazine, gave critic Lester Bangs a tape of a live RFTT radio broadcast, the legendary critic championed it in the pages of the magazine. Alas, RFTT seemed doomed from the beginning. The band burned so brightly and with such intensity that the members were constantly at each other’s throats. Drummer Madansky left the band at the urging of his girlfriend. When a young Iggy acolyte by the name of Stiv Bators joined RFTT as the primary vocalist, his presence would prove to be so disruptive as to break the band apart. Bators would take guitarist O’Connor (who would become known as Cheetah Chrome) and Madansky (a/k/a Johnny Blitz) and form the Dead Boys while Laughner and Thomas would start a new band called Pere Ubu. Three of the songs here are culled from five recorded live by WMMS during a “heavy metal showcase” at Cleveland’s Agora club, while another seven songs were captured on tape during a July 1975 gig opening for Television. Although several of the songs offered on The Day the Earth Met... – notably “Sonic Reducer,” “Final Solution” and “30 Seconds Over Tokyo” – would become legendary when revisited by the Dead Boys and Pere Ubu, neither of those band's renditions comes close to matching the energy and passion of these originals. Choice covers of the Stooges’ “Raw Power” and the Velvet Underground’s “Foggy Notion” reveal RFTT’s roots and influences while several of Laughner’s songs, such as “Amphetamine” and “Transfusion,” show the talents of a gifted wordsmith, a punk Dylan who matched highbrow lyrical poetry with lowbrow street music. The sound quality on The Day The Earth Met the Rocket From the Tombs is spotty, but certainly no worse than many musically inferior bootlegs. Given that most of these tracks were recorded on reel-to-reel tape in the mid-1970s, it’s a wonder that any survived. 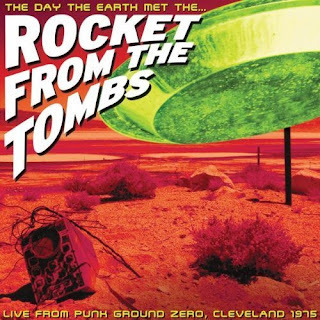 As it is, the album shows Rocket From the Tombs to be the creative contemporaries of bands like the Dictators, Television, and the Ramones, an important and influential pre-punk band that would launch both art-punks Pere Ubu and punk legends the Dead Boys. 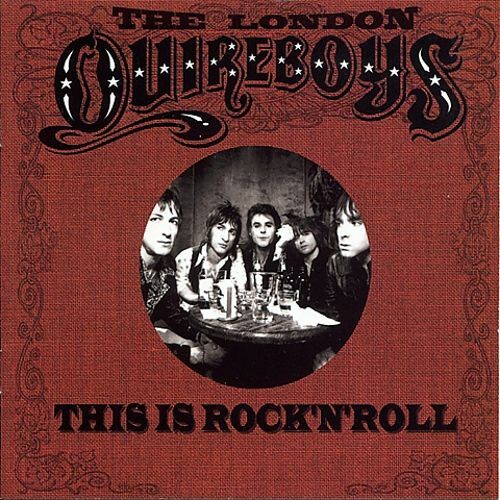 Proving the old adage that “you can’t keep a good band down,” the London Quireboys have come roaring into the twenty-first century with a new line-up, a new album, and a trademark sound that is pure, timeless rock ‘n’ roll. Formed in 1984, the Quireboys were less ‘glam’ than Hanoi Rocks, less obnoxious than Motley Crue, and more roots-oriented than Guns ‘N’ Roses. 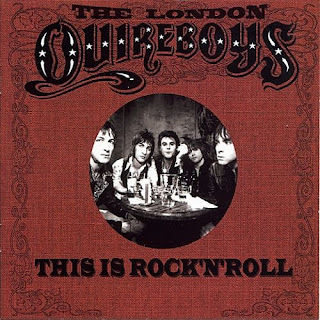 The Quireboys’ sound was firmly influenced by classic rockers like the Rolling Stones and the Faces yet, due to the time and place, they were always thrown in amongst the L.A. glamboys and MTV hair bands. The band enjoyed a modicum of success in the U.K. with a handful of albums and hit singles before finally breaking up in 1993. The flame refused to die, though, and the Quireboys kept plugging away at it throughout the 1990s. Various roster changes did little to change the band’s raw hard rock sound, the one common thread in the various band line-ups being vocalist Spike Gray. The Quireboys recorded their fourth album proper, Lost In Space, in 2000 and with their latest effort, This Is Rock ‘N’ Roll, they have delivered a rocking coup d’grace. 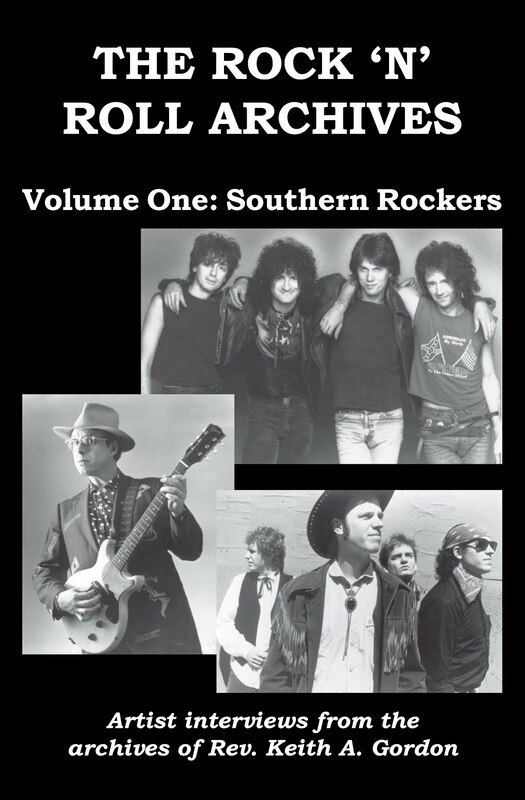 For Spike and the Quireboys it’s always 1973 and This Is Rock ‘N’ Roll echoes the arena rock of Aerosmith, the Stones, and the Faces. Spike’s raucous vocals evoke memories of a young Rod Stewart, his inflection part whiskey and part cigarettes, while the twin guitars of long-time member Guy Griffin and newcomer Luke Bossendorfer wail and roar like ghostly doppelgangers of Keith Richards and Mick Taylor. 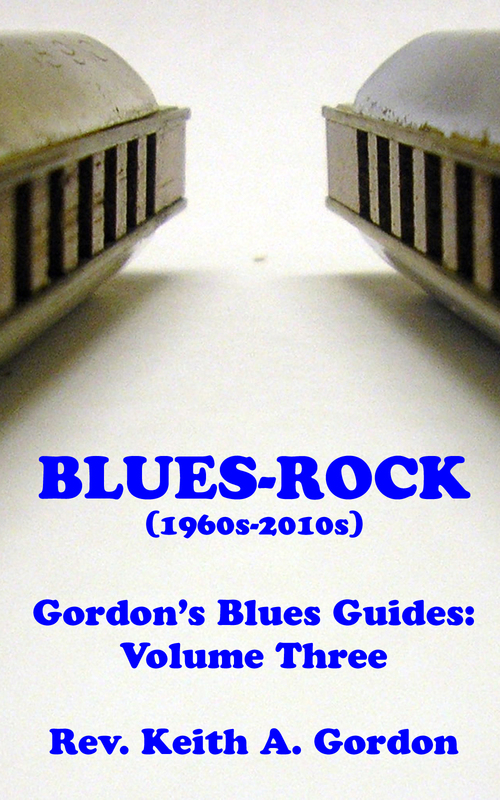 The album’s title track is an affirmation of rock ‘n’ roll and band brotherhood that hides a dirty little secret – that for some people, rock music is the only way to go, their only means of escape and, as Rod once sung, a “reason to believe.” It’s more than a livelihood, it’s a reason for being and for veterans like the Quireboys, it’s been a collective identity for so long that they can’t stop now. Shuffle just a few songs down, though, and you’ll find “C’mon,” a rowdy admittance that rock ‘n’ roll may well have passed the band by. Spike sings “don’t go changing my favorite songs, keep them rolling along” with the sad realization that rock music has changed and that, just as for the mods and rockers of the 1960s and the punks of the ‘80s, rock ‘n’ roll has turned its back on the Quireboys as well. 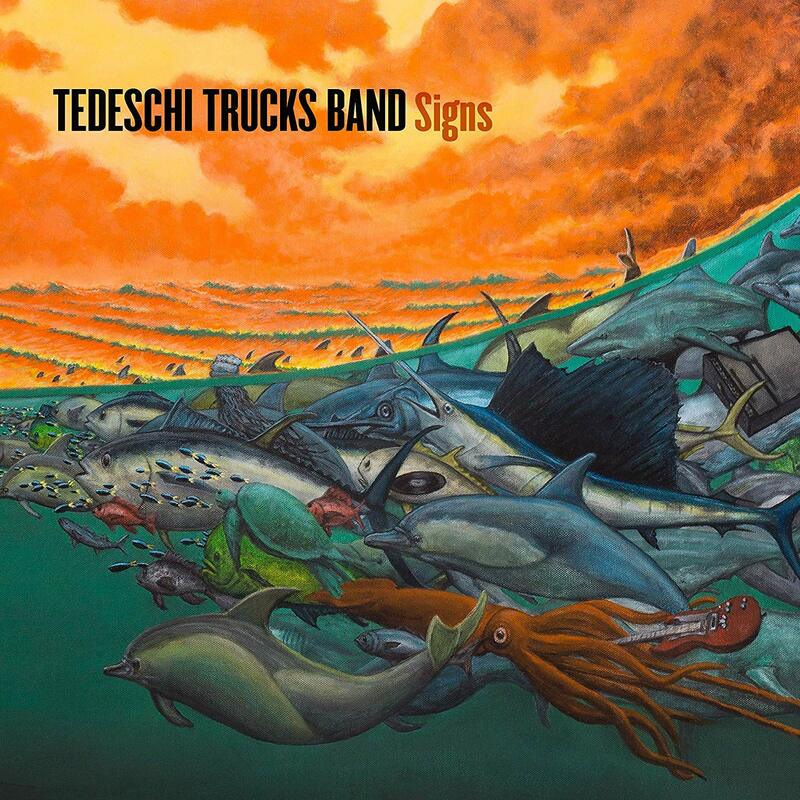 These two songs are the cornerstones of This Is Rock ‘N’ Roll, providing a revealing glimpse behind the party-time façade the band has projected for two decades now. Second-generation country outlaw Pete Berwick made his bones playing the honky-tonks and juke-joints that existed on the fringes of late 20th century Nashville. Berwick’s intelligent wordplay has always been his strength and previous albums like Ain’t No Train Outta Nashville show that he could rock a bit as well. 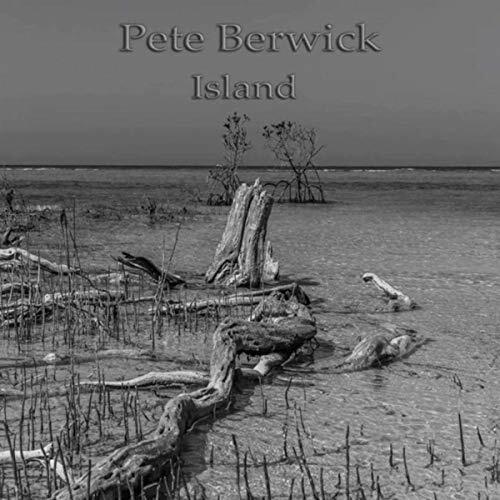 Island is a departure for Berwick, a collection of mostly-introspective, insightful mid-tempo tunes that lean more country than rock, more blues than folk. You can’t argue with the results, songs like “Anyway” and “Island” speaking to the heartbreak of love and loneliness while “The Streets of Pasadena” is country tear-jerker worthy of George or Merle. “One Setback At A Time” gallops by comparison, the song a statement of defiance set to a lush soundtrack that would make it a hit single in a more enlightened era. 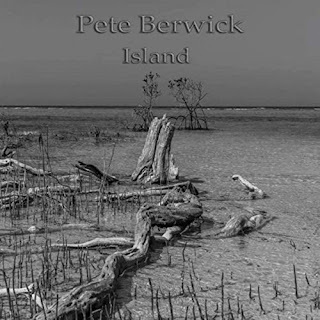 Island is Berwick’s most melodic and mature album yet, a masterwork from a unique craftsman. Grade: A+ BUY! 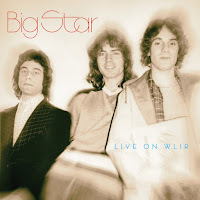 After the release of 1974’s sophomore effort Radio City, power-pop pioneers Big Star sojourned to Ultrasonic Studios in Long Island, NY to record this live-in-the-studio radio broadcast. Although this performance was previously released by RykoDisc as Live, it’s been out-of-print for the better part of a quarter-century until rescued by the good folks at Omnivore. Working from the original studio session tapes, the often-bootlegged performance captured by Live On WLIR displays all the rawness and immediacy of the radio broadcast but provided a modern-sounding sonic clean-up. The then-new line-up of Alex Chilton, John Lightman, and Jody Stephens crank out an energetic 14-song set that includes “September Gurls,” “Mod Lang,” “Thirteen,” and “I’m In Love With A Girl,” classic tunes upon which the Big Star mythology would later be built. If you’re a fan of Big Star and/or power-pop and don’t have Live On WLIR, what are you waiting for? Grade: A BUY! 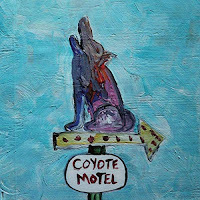 Nashville-by-way-of-Boston blues guitarist Ted Drozdowski steps aside from his regular band the Scissormen to explore the outer edge of Americana with Coyote Motel. Not surprisingly, given his status as a well-respected music journalist, Drozdowski is a superb, if underrated lyricist and his intelligent story-songs here are accompanied by apt, imaginative music and wickedly effective six-string play. The based-on-a-true-story “Still Among the Living” benefits from Drozdowski’s devastating fretwork, somber vocals, and an overall ominous vibe. The “whimsical” apocalyptic tale “Los Alamos” is deceptively poetic with a maddening riff. The heartfelt “My Friend” is a powerful tribute to R&B great “Mighty” Sam McClain while the anti-racism ode “Jimmy Brown” is an artistic maelstrom, roaring with a punkish fury. 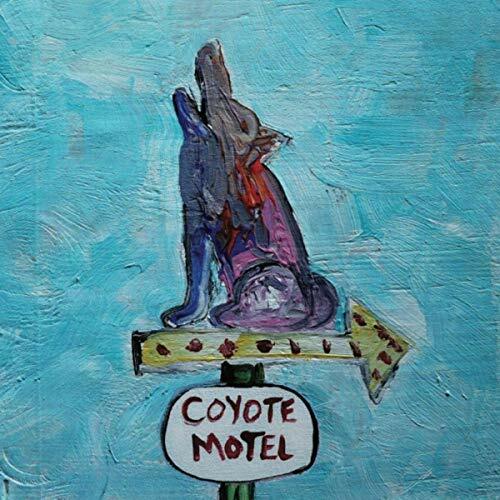 Altogether, Coyote Motel is a hell of a lot of fun, a near-perfect fusion of blues, country, rock, and folkish elements that shouldn’t work but instead sounds like Drozdowski invented the entire Americana genre. Grade: A BUY! 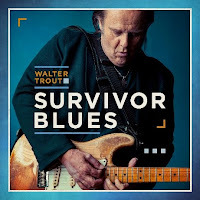 Contemporary blues artists stand on the shoulders of giants, and the great Walter Trout pays tribute to some of these legendary talents with Survivor Blues. 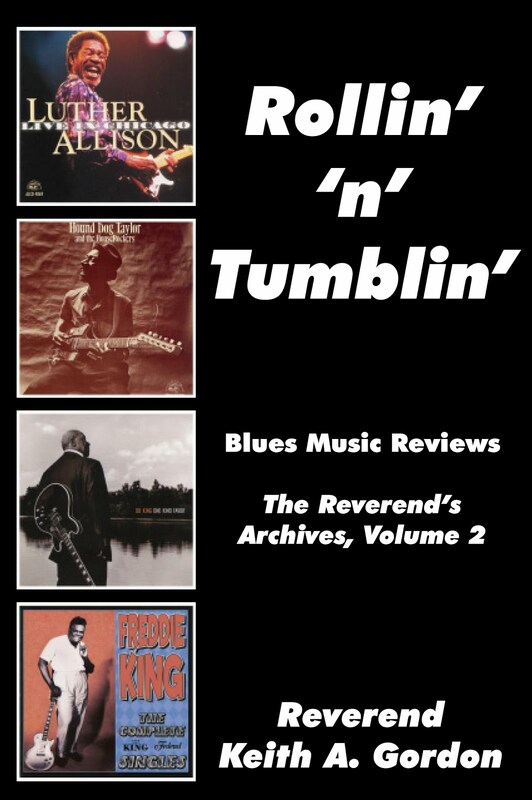 Not your run-of-the-mill covers album with predictable results, the guitarist digs deep into blues history to unearth long-hidden gems by often-overlooked talents like Sunnyland Slim, Luther Johnson, and J.B. Lenoir, among others, each performance provided Trout’s unique creative spin. 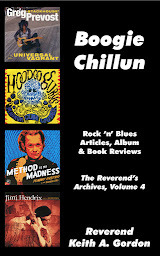 Trout inhabits Chicago bluesman Jimmy Dawkins’ “Me, My Guitar, and the Blues” with soaring solos while Floyd Lee’s “Red Sun” is a potent blues-rock stomp with classic rock riffs. Guitarist Robbie Krieger of the Doors sits in on Mississippi Fred McDowell’s country-blues classic “Goin’ Down To the River,” providing elegant solos above Trout’s hypnotic riffs. 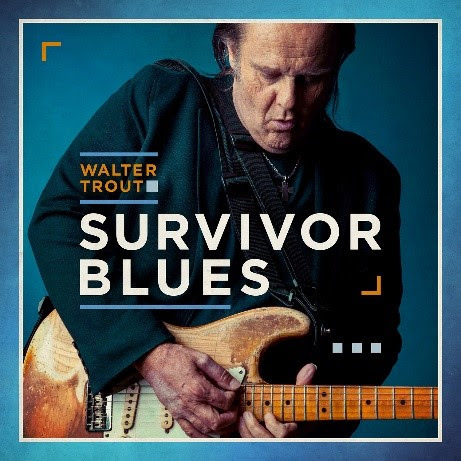 The twelve tracks chosen by Trout for Survivor Blues serve as a primer for the genre, each performance imbued with the passion and sincerity that has long been the guitarist’s trademark. Grade: A BUY! 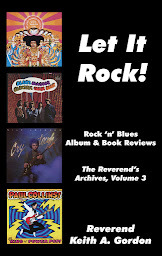 Check out the Reverend’s interview with Walter Trout on the Rock and Roll Globe website! 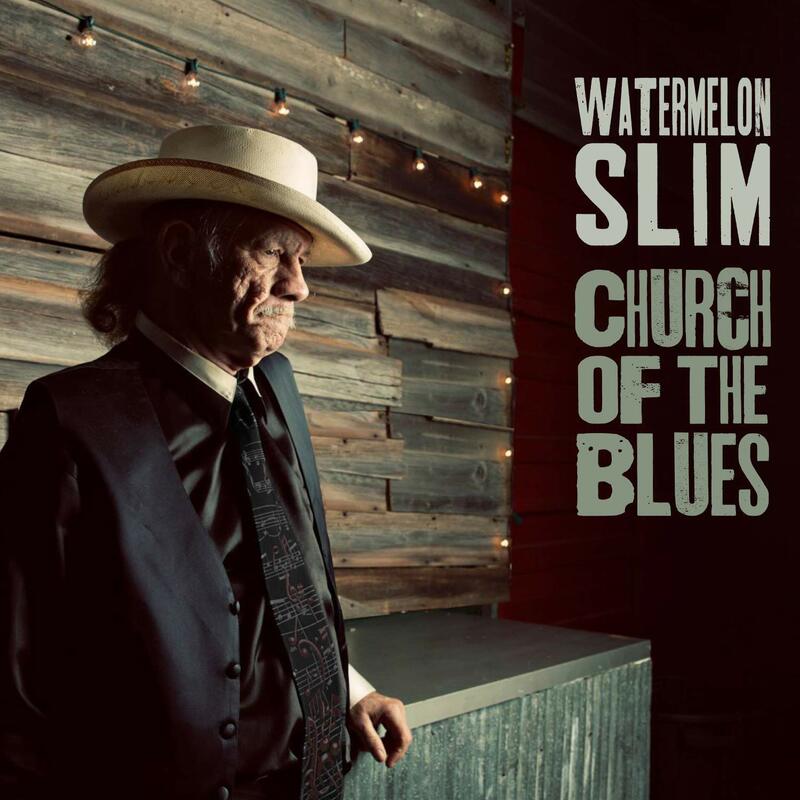 Erudite singer/songwriter Watermelon Slim worships at the Church of the Blues, delivering his typically droll brand of roots-rock and traditional blues music with whip-smart lyrics and no little insight. Slim is fronting a trio here, but he’s joined in the studio by a wealth of musical talent including legendary guitarists Bob Margolin and Joe Louis Walker and soul-blues singer John Nemeth. The results are stunning, Slim layering his half-spoken, half-sung Okie drawl and greasy slide-guitar atop original tracks like the topical “Charlottesville (Blues For My Nation),” “Too Much Alcohol,” and “Post Modern Blues” as well as covering gems from legends like Muddy Waters, Allen Toussaint, Mississippi Fred McDowell, and Howlin’ Wolf. 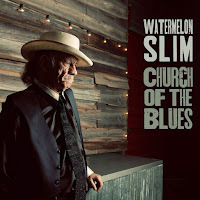 Church of the Blues provides the listener with an entertaining, spiritual experience that rocks like a tent revival, Watermelon Slim a true believer preaching the power of the blues. Grade: A BUY! As a teenage rock ‘n’ roll fanatic in the early ‘70s, you discovered bands in a myriad of ways. 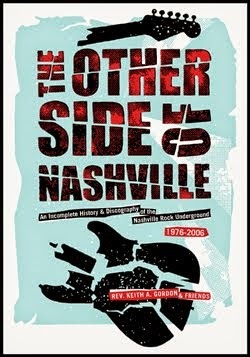 Sure, FM radio was the primary source of exposure, especially if you were lucky enough to live someplace like Nashville where WKDA-FM offered a progressive rock playlist (the station would get much more conservative in its musical choices after changing its call sign to WKDF later in the decade). Zines were another invaluable tool in discovering new music, and I devoured monthly issues of Creem and Crawdaddy, trucked down to the corner store every two weeks for a new Rolling Stone, and cherished copies of obscure rags like Zoo World, Fusion, and Rock magazine whenever they could be found. 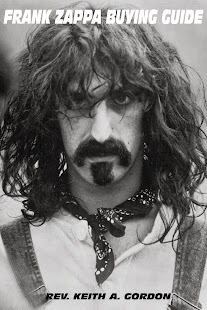 Friends, especially older ones, helped fill in a lot of the blanks, and I have to thank long-lost compadres like Rick DiBello and Mark Vantrease for introducing me, respectively, to Spirit and the Mothers of Invention. 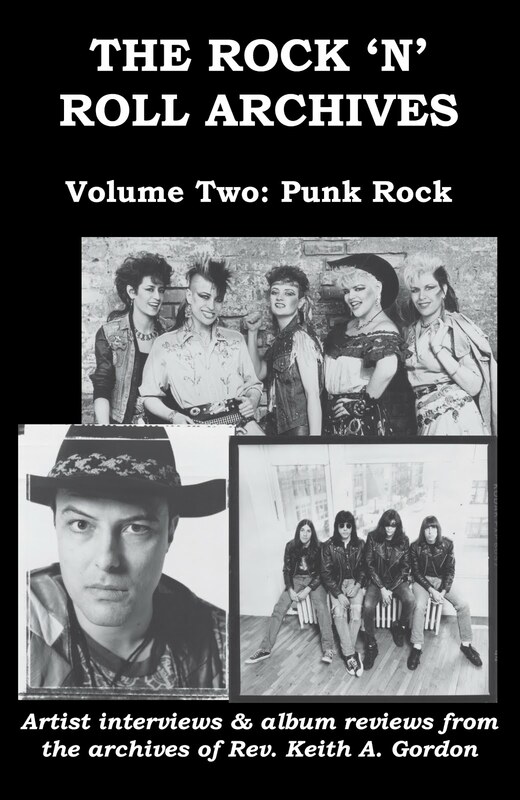 As I wrote in my review of rock historian Martin Popoff’s excellent Sabotage! Black Sabbath In the Seventies book, it was Rick and Bill Berg and their biker buddies that turned me onto Sabbath, a band that has remained among my favorites for nearly 50 years. 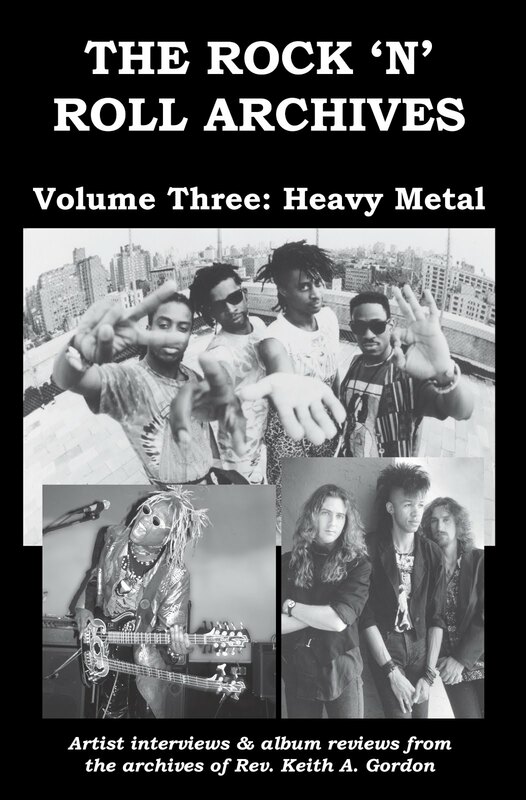 Popoff is a familiar, much-reviewed writer ‘round these parts; the author of some 80 books on hard rock and heavy metal, he was the founder and former editor of the Canadian metal zine Brave Words & Bloody Knuckles, and a frequent contributor to music publications like Goldmine and Record Collector (U.K.), among many others. Here is the part where I’m duty-bound to mention that Martin is also a pal of mine, a friend and colleague of many years, and a fellow masochist trudging away in the treacherous trenches of self-publishing. 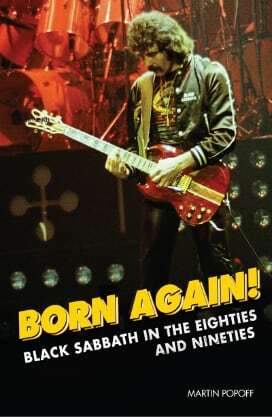 Black Sabbath is obviously one of Martin’s favorite bands as well, as he’s madly written three previous books on the band, including the aforementioned Sabotage!, the informative (and essential) Black Sabbath F.A.Q., and Black Sabbath: Doom Let Loose, a gorgeous illustrated history of the British metal pioneers. Born Again! Black Sabbath In the Eighties and Nineties compliments the other three volumes by plowing new turf; nothing here overlaps those other books. 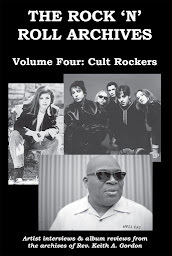 As is his usual literary modus operandi, Martin provides the reader with an album-by-album history of these contentious two decades, relying on interviews with Sabbath members and fellow-travelers to create a narrative that includes just the right amount of his critical insight. Born Again! opens with the release of Sabbath’s 1980 “comeback” album, Heaven and Hell, which vaulted the band back into Platinum™ record sales territory. Sabbath had booted flamboyant frontman Ozzy Osbourne, whose well-documented rock star excesses had begun catching up with him in the late ‘70s. Enlisting former Elf and Rainbow vocalist Ronnie James Dio, Sabbath forged a heavier sound for the new metallic decade with the Heaven and Hell and Mob Rules albums. In recapturing a bit of their former creative and commercial glory, they also sparked an ‘Ozzy or Dio’ debate that, while not as turbulent as ‘David Lee or Sammy’ discussions among the Van Halen faithful, nevertheless split the band’s fans into two distinct sides. All good things eventually come to an end, however, and when egos clashed over the mixing of Sabbath’s 1982 Live Evil album, Dio packed his bags and exited stage right, taking drummer Vinny Appice (who had replaced the ailing Bill Ward for Mob Rules) with him to form the subsequently-successful band that bore his name. Thus begun Tony Iommi’s years in the “wilderness,” the Sabbath riff master keeping the band together, for better or worse, over the ensuing years and decades. 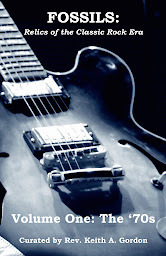 The band would become a revolving door of musicians and singers, Iommi recruiting legendary rockers like Ian Gillan (Deep Purple) and Glenn Hughes (Trapeze) and lesser-knowns like Tony Martin and Ray Gillen (Badlands) to front Sabbath and journeymen musos like drummer Cozy Powell and bassist Bob Daisley to fill holes in the roster as Ward and original fat-string player Geezer Butler rotated in and out of the line-up. The results of this uncertainty and tumult were mixed – only Martin held onto the microphone for more than a single album, and Gillen didn’t even get that – but Sabbath nevertheless released some pretty decent, albeit overlooked records during this period (1983’s Born Again and 1987’s The Eternal Idol) as well as some stinkers (1994’s Cross Purposes), and one that never should have seen the light of day (1995’s horrible Forbidden). An ill-fated reunion with Ronnie James Dio resulted in 1992’s Dehumanizer album and, after much blood, sweat, and fiercely-negotiated tears, the inevitable band reunion with Ozzy occurred (tho’ it didn’t include original drummer Bill Ward at first), which yielded the rockin’ two-disc live Reunion album (which did include Ward!). Popoff dives deeply into these shadowy corners of the band’s career, standing out of the way and allowing Sabbath band members and related parties to create an oral history of the 1980s and ‘90s. I admittedly knew a lot less about the lengthy period of Sabbath’s career covered by Popoff’s Born Again! 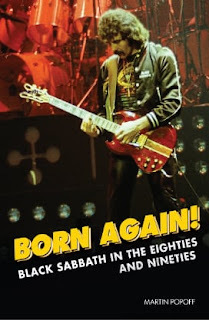 than I did about the early years of the band, but I walked away from the book with a better knowledge of the artistic dynamic that drove Black Sabbath through the ‘dark’ years. The late, beloved Ronnie James Dio comes across as a bit of a prima donna in his comments and recollections. Tony Iommi’s ego matches that of other great musicians (Ritchie Blackmore comes to mind), which made clashes of personality with other strong-willed talents (Dio and Ian Gillan, notably) a certainty. Buy the book directly from the man himself! It may be cold as the dickens outside your window, but the spring thaw could come up quickly in the wake of February’s red-hot slate of new releases guaranteed to tickle your eardrums. 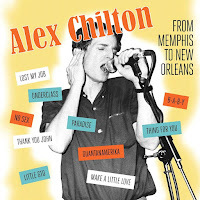 Aside from new tunes from talents like Tommy Castro, R. Stevie Moore, Bob Mould, the Tedeschi Trucks Band, and the Long Ryders your auditory canals can feast on archive music from Alex Chilton (two of ‘em!) and U2 among much, much more! If you’re interesting in buying an album, just hit the ‘Buy!’ link to get it from Amazon.com...it’s just that damn easy! Your purchase puts valuable ‘store credit’ in the Reverend’s pocket that he’ll use to buy more music to write about in a never-ending loop of rock ‘n’ roll ecstasy! 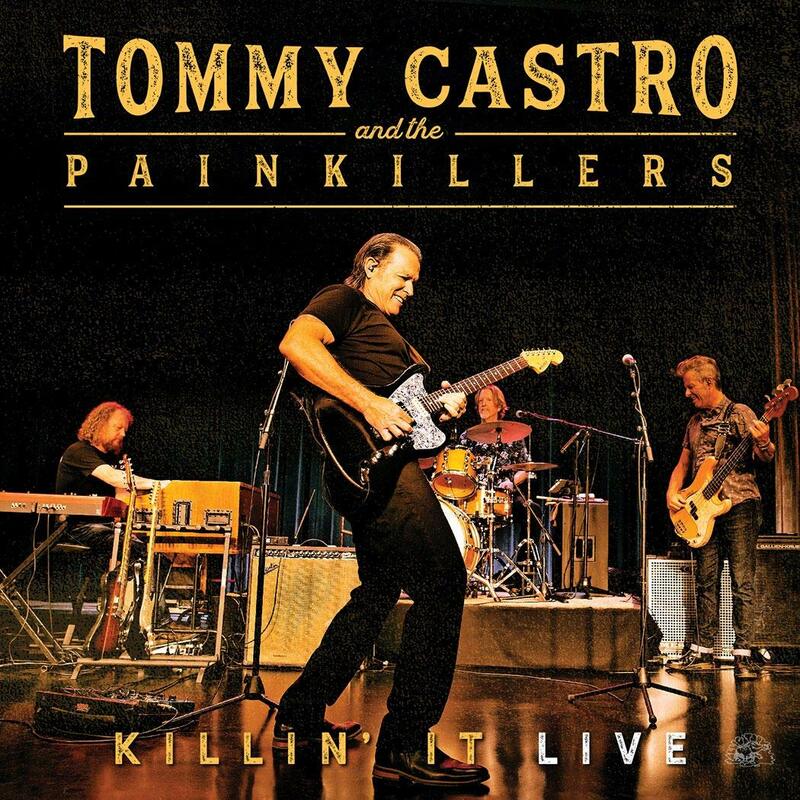 Tommy Castro & the Painkillers - Killin’ It Live BUY! Girlpool - What Chaos Is Imaginary BUY! Van Duren - Waiting: The Van Duren Story Original Documentary Soundtrack BUY! The Specials - Encore BUY! 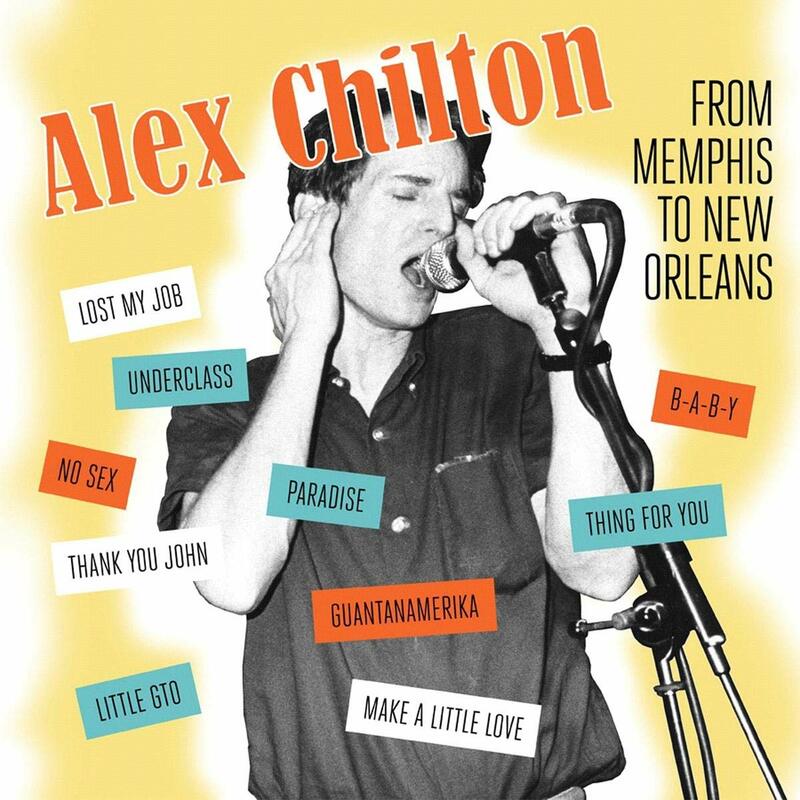 Alex Chilton - From Memphis to New Orleans BUY! Alex Chilton - Songs From Robin Hood Land BUY! Charlie Faye & the Fayettes - The Whole Shebang BUY! 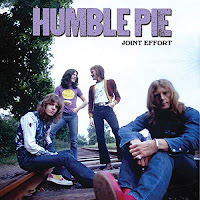 Humble Pie - Joint Effort BUY! Colin Linden & Luther Dickinson - Amour BUY! Marley’s Ghost - Travelin’ Shoes BUY! Gurf Morlix - Impossible Blue BUY! Bob Mould - Sunshine Rock BUY! The Lemonheads - Varshons 2 BUY! Mercury Rev - Bobby Gentry’s The Delta Sweete Revisited BUY! Panda Bear - Buoys BUY! Hayes Carll - What It Is BUY! 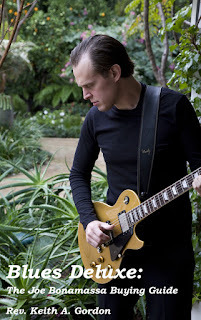 Jon Fratelli - Bright Night Flowers BUY! The Long Ryders - Psychedelic Country Soul BUY! 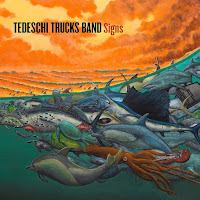 Tedeschi Trucks Band - Signs BUY! Claypool Lennon Delerium - South of Reality BUY! Dream Theater - Distance Over Time BUY! 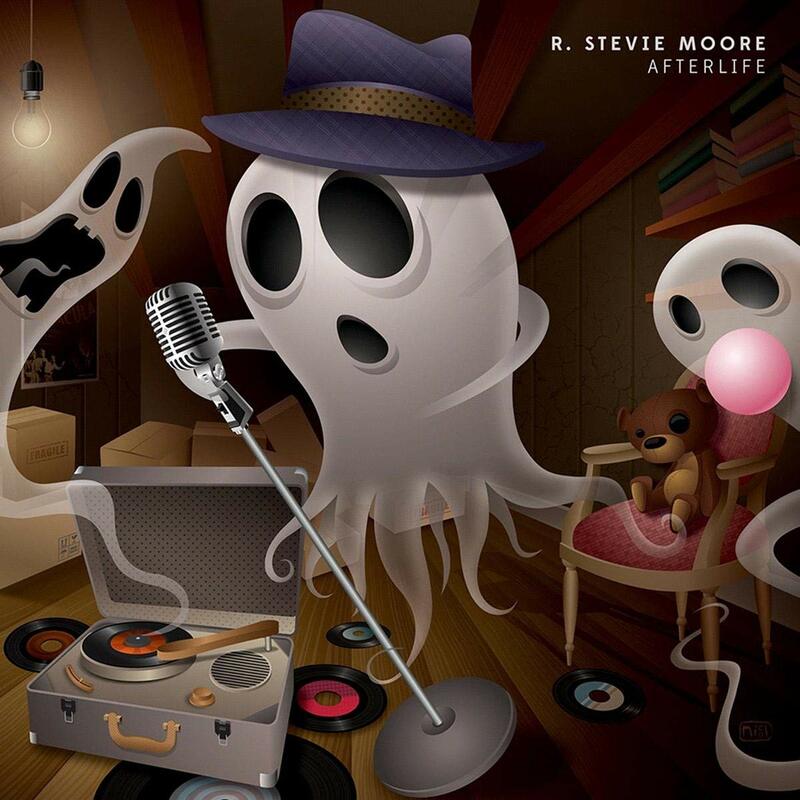 R. Stevie Moore - Afterlife BUY! Overkill - The Wings of War BUY! Rockin’ Johnny & Quiqué Gomez - Dos Hombres Wanted? BUY! Luther Russell - Medium Cool BUY! U2 - No Line On the Horizon [vinyl reissue] BUY! Various Artists - 3x4 (The Bangles, Rain Parade, Dream Syndicate, etc) BUY! Kinetic Element - The Face of Life BUY! 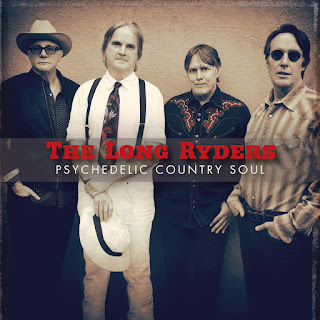 Says Long Ryders’ singer, guitarist, and songwriter Sid Griffin in a press release for the new LP, Psychedelic Country Soul is “the album we were always trying to make… each flavor which made the band unique is there be it C&W, rock ’n’ roll, troubadour folk music, raw R&B, or out-there psychedelia.” The new album comes in the wake of deluxe three-disc reissue versions of the band’s classic 1980s-era albums State of Our Union and Two-Fisted Tales by the U.K. archival label Cherry Red.